Though domesticated longer than any other animal in the world, the llama has languished in relative obscurity until recently. There has been a rediscovery and renewed appreciation of this most unique animal in its native South America that has now spread to North America. Buckhorn Llama Company, Inc. has expertise in all aspects of llamas. 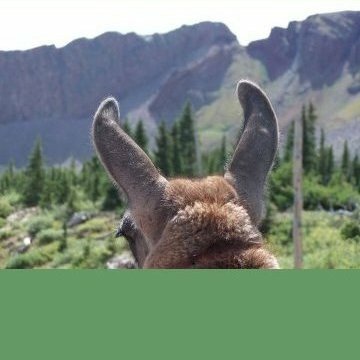 We provide llama pack trips, llama trekking, llama leasing, llama hikes, llama pack equipment, breeding llamas, llamas for sale and llama fabric clothing. See our website for details about our services.